Weld on plates with a thread size from M10 to M20 thread size to be used in conjunction with our conveyor feet. Weld on plates with a thread size from M12 to M20 thread size to be used in conjunction with our conveyor feet, these items are made to order. Stainless Steel Weld Plates are available in round or square, suitable to be welded onto equipment and machinery. The stainless steel weld plates are threaded to accept a stainless steel conveyor foot or adjustable foot. 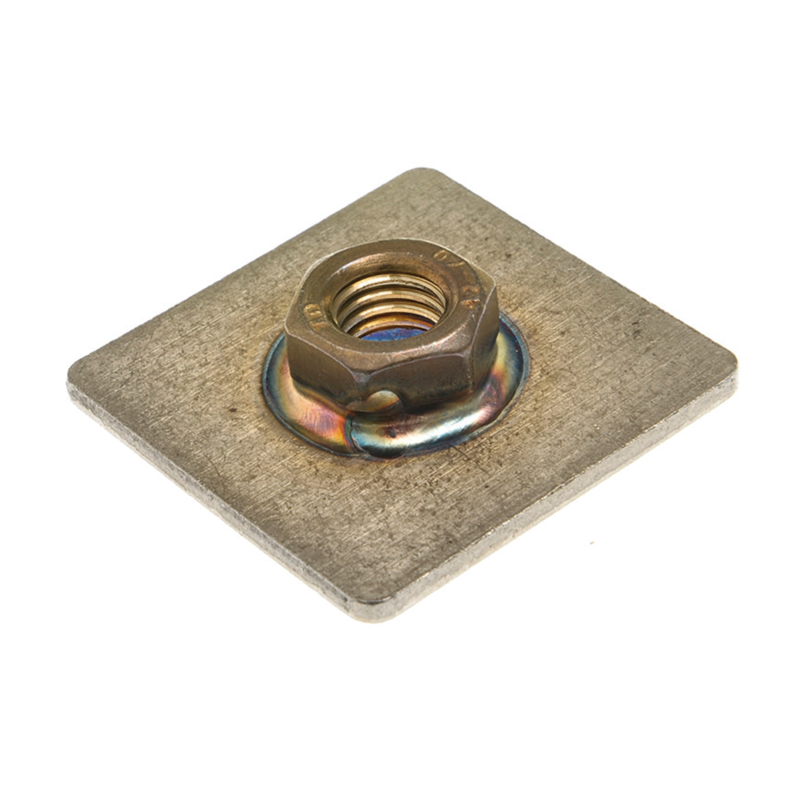 With weld plate sizes from 25mm diameter up to 60mm diameter in round or square. Thread sizes vary from M10 , M12, M16 and M20.